Ongoing rapid advancement in telecommunication technology requires constant monitoring and improvements of performance by existing infrastructure, or its replacement where it has become overtaken and rendered obsolete. The South African Maritime Safety Authority (SAMSA) mandated with responsibility for among other things, the safety of ships and people at sea, occasionally gets roped into these activities in the oceans surrounding the country, as was recently demonstrated when it was appointed by the Department of Transport to be the testing authority of Telkom Coastal Radio Service deployed for utilization by sea going vessels. Specifically, the infrastructure concerned included the Maritime Safety Information (MSI) and Cospas-SARSAT equipment installed by Telkom by agreement with the Department of Transport since 2013. Among its crucial functions, the service facilitates for emergency services to all vessels, domestic and international, and the constant testing and evaluation of the lines in an area of up to 50 nautical miles seawards is an absolute necessity, according to SAMSA’s senior radio surveyor, Mr Koos Arnold. Mr J.S ‘Koos” Arnold. SAMSA senior radio surveyor, examiner and moderator: Southern Region. Based at SAMSA’s southern region with offices in Port Elizabeth, Mr Arnold was part of a SAMSA team of officers dispatched late last year to go and conduct the testing and verification of the radio telecommunication infrastructure deployed along South Africa’s 3 200 kilometer coastline. The other SAMSA officers included Mr B.T. Solomon, a senior radio surveyor for the Western Region, Mr H.T. Jones , a senior radio surveyor for the Eastern Region and Mr A.S. Mbona, also a radio surveyor from the Western Region. According to Mr Arnold, who was the SAMSA team leader, the tests conducted by Telkom officials and verified by SAMSA officers involving no less than 2000 individual points, were also in terms of current and proposed sea based communication infrastructure by the International Maritime Organization (IMO) of which South Africa is a Member State. Effectively, the teams conducted hourly tests on Very High Frequency Bands of Digital Selective Calling equipment at three (3) nautical miles seaward (approximately 6 kilometres seaward); same duration tests on VHF DSC – at 30 to 50 nautical miles seaward (54 to 90 kilometres seaward); random tests on Navtex and High Frequency as well as on receiving transmitted signals by Navtex Receiver on board the SA Agulhas, focusing on zero error rate per test message, said Mr Arnold. He says the total voyage distance undertaken was 2 390 nautical miles or 4 302 kilometres over 15 days. 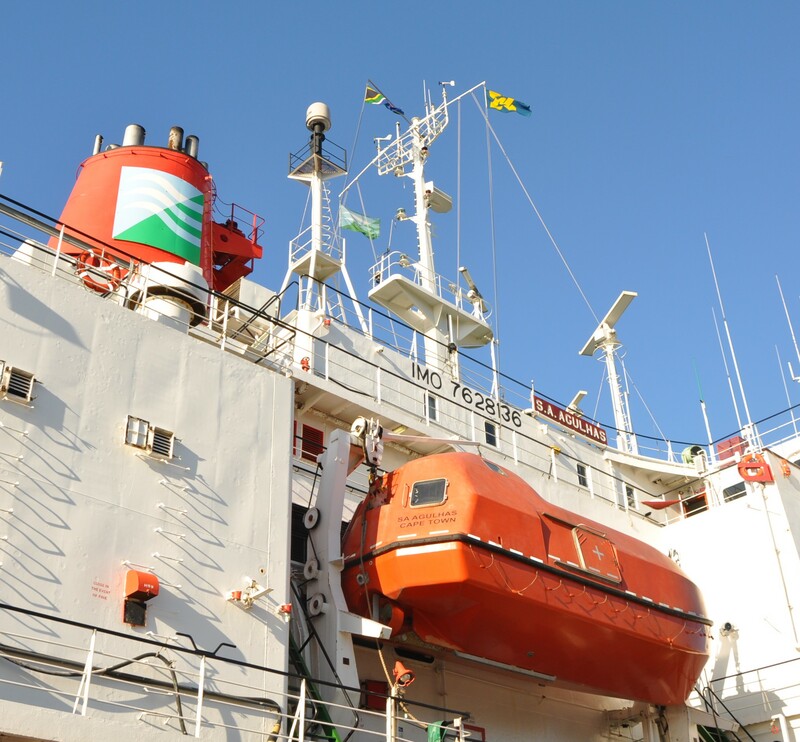 Employed for the two weeks journey was the country’s former research vessel and now a dedicated cadet training ship, the SA Agulhas, owned and operated by SAMSA. 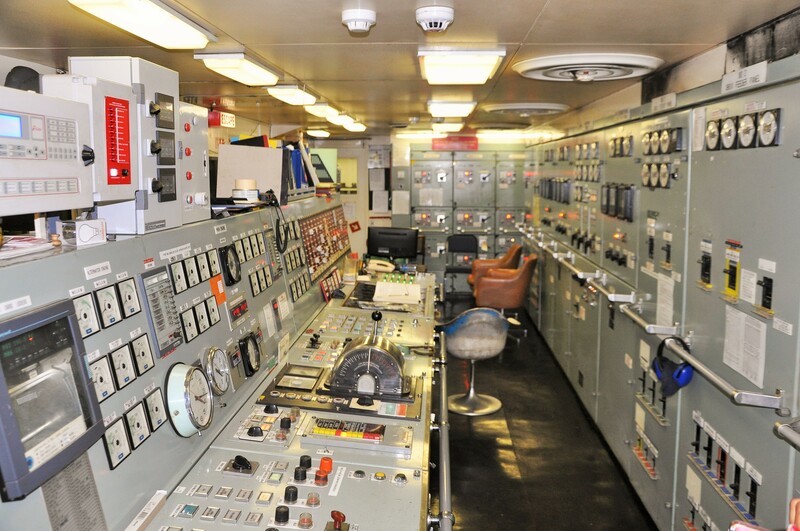 The radio telecommunications infrastructure testing thereby also provided a perfect opportunity for the radio communication examination officers to take along with as many 48 cadets trainees on board – both deck and engine – as this provided them opportunity to earn sea time. In the video below, Mr Arnold, a marine veteran with more than 40 years of service, speaks about this mission conducted in October, but also about developments in the maritime industry that impact positively and negatively progress in its development. Also, with ‘three days’ to retirement, he speaks frankly about his personal life experience in an interview type chat that lasts about 20 minutes. Twelve days ago on 16 February 2018, South Africa’s dedicated cadets training vessel, the SA Agulhas, formerly a research vessel still with great capacity for it, returned to the country after more than two months of sailing through the Indian and Southern Oceans, with 20 cadets on board, their two lead trainers, as well as about 42 scientists from India. The latter got off the vessel in Mauritius four days earlier. The group’s voyage that begun on Friday, 24 November 2017 in Cape Town, was about two key goals; ocean research by the Indian scientists and crucial cadet training by the South African International Maritime Institute (SAIMI) in collaboration with the South African Maritime Training Academy (SAMTRA) and the South African Maritime Safety Authority (SAMSA). Nelson Mandela University (Port Elizabeth) based SAIMI is charged with responsibility for the country’s National Cadet Programme. 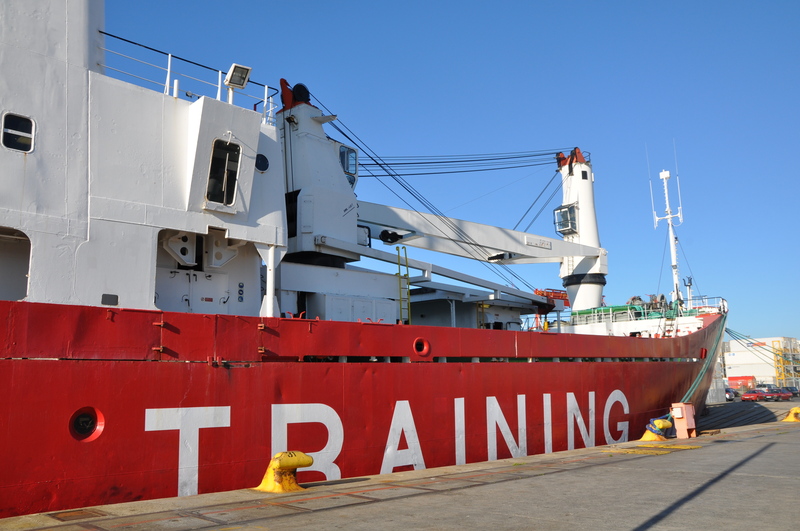 Cape Town based SAMTRA provides actual alongside and at-sea-training on the SA Agulhas. 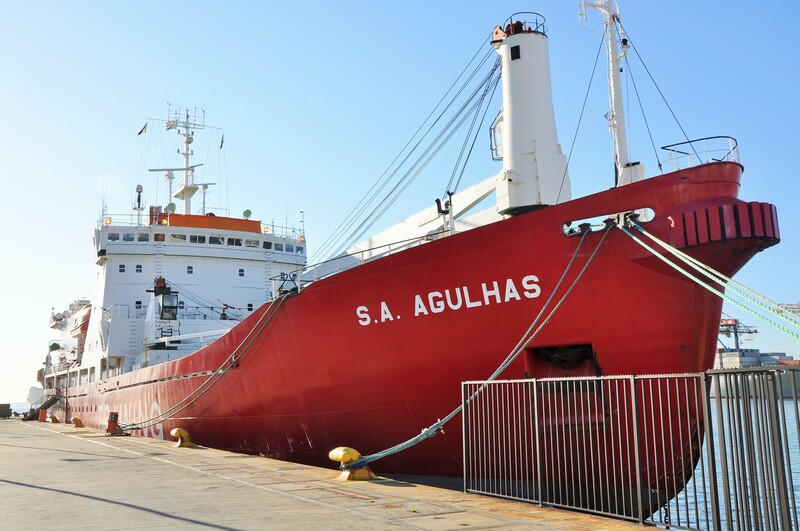 Pretoria headquartered SAMSA, in addition to being the authority for both seafarers education and training as well as a certifying body, the agency also owns and operates the SA Agulhas. The group of 20 new cadets on board the vessel during this trip, were the second group in a voyage of the nature involving ocean research along the Indian and Southern Oceans to as far as the Antarctica region. The first of these groups, also involving the Indian scientists, had taken place at exactly the same period in 2016/17. In the video below, one of SAMTRA’s lead trainers on board the SA Agulhas during the most recent expedition, Captain Merwyn Pieters, one other official – Second Mate, Ms Zikhona Gwexa – and three of the 20 cadets share their respective experience of the journey. The video is 25 minutes long. Two weeks ago, in a news article about the Lawhill Maritime Centre’s annual awards for 2017, this blog reported that the guest speaker on the evening, popular South African academic and author, Professor Jonathan Jansen had ‘threatened’ the Simonstown school with a ‘complete public exposure’ after he was driven literally to tears by the school’s Grade 10-12 pupils present in the ceremony on the night. They were tears of joy, he confessed, and being a columnist for a number of national and regional newspapers, the recent former Vice-Chancellor of the University of the Free State vowed that it would be amiss of him not to share with the nation and the public in general his observations of the high school pupils during that evening of October 13, 2017. Having reported on the matter (here) this blog tracked carefully the Prof Jansen’s columns in the following days, not so much to see if he would live up to his promise (as we were confident he would) than merely that it would be of tremendous interest what he would say, when he eventually got to say it! He now has, in a column syndicated between and published among a number of the Tiso Group daily newspaper online sites including The Herald and The Times; on Thurday (26 October 2017). He then gets to say more, and more! But it is best that one reads Prof Jansen’s column in its published form in the publication concerned than to rely on paraphrases that could easily miss his entire points. The purpose of this exercise is to share with readers of this blog some of the touching moments that moved Prof Jansen to tears during that early evening of the Lawhill Maritime Centre Annual School Awards 2017 in Simonstown. We present them herein below in video format for your enjoyment. Obviously, much more took place during evening than these snippets, with the presentation of awards to Lawhill Maritime Centre high school pupils being one of the major highlights, and some of which Prof Jansen actually presented himself. Wednesday, 23 August 2017 marked a highly significant event at the small yet greatly scenic town of Port St Johns on the Wild Coast part of the Indian Ocean coastline of the Eastern Cape Province when locals gathered to celebrate the sending off of 97 youths to jobs on tourism cruise vessels around the world, effective 01 September 2017. Their immediate employer will be MSC Cruises. The event, under the South African Maritime Safety Authority (SAMSA) driven Maritime Youth Development Programme (Eastern Cape), undertaken jointly with the Eastern Cape Provincial Government and Harambee, was billed as a stage that would double as an opportunity platform to expose AmaMpondo’s traditional and cultural heritage. After all, the King of AmaMpondo, His Majesty, Ndamase Ndamase would be among VIP guests, along with Eastern Cape Premier, Phumulo Masaulle and other high profile local authorities. It almost lived up to the promise. Crucially though, and more importantly; was the celebration of the 97 youths – young males and females – who would soon embark on a work career – many for the first time – in the maritime sector and which event is expected to turn their fortunes for the better with their US dollar denominated income aboard cruise vessels, come September 2017. They will be the first group from the Eastern Cape – mainly from Buffalo City (East London and surroundings) and O.R Tambo District Municipality (Port St Johns) – to benefit from the SAMSA sponsored MYDP. Nationally, they will be the second group – and the biggest yet – after Gauteng Province since launch of the MYDP a year ago. along with an Imbongi as is tradition in these parts. The world is expected to turn its eyes on South Africa’s maritime sector as South Africa is expected to host the 2020 World Maritime Day Conference by the International Maritime Organization (IMO) Assembly in 2020, right here in Durban. This is according to Sindisiwe Chikunga, Deputy Minister of Transport who announced this week that all eyes will be on South Africa’s maritime sector and Operation Phakisa when more than 230 countries will participate in the WMD. 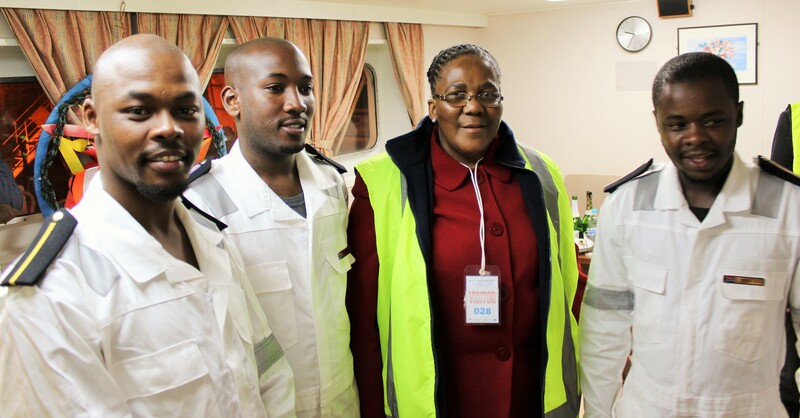 She made this announcement on the eve of the celebrations of the Day of the Seafarer, organised by the South African Maritime Safety Authority, supported by the DoT, which will be held in Bizana in the Eastern Cape on June 25. The theme for this year is “Seafarers Matter”. The IMO, which supports the Day of the Seafarer, is a specialised agency of the United Nations responsible for regulating shipping. Every year the IMO celebrates World Maritime Day, which focuses attention on the importance of shipping safety, maritime security and the marine environment and to emphasize a particular aspect of IMO’s work. World Maritime Day is celebrated in the last week of September annually, and in South Africa it is celebrated on September 25. This year the WMD will take place in Port St Johns. In 2020, 230 maritime nations will converge in Durban, with experts in the shipping and maritime industry in attendance, together with an array of exhibitions involving the oceans economy. Chikunga, who will be part of the IMO Day of the Seafarer celebrations in London next week said South Africa’s participation in the international body was critical, as “we are able to showcase the vast potential that lies within our oceans”. “Sitting on the International Maritime Organization (IMO) allows us to showcase our oceans economy, Operation Phakisa. But also it exposes us to what other countries are doing. “When 2020 comes, the world will be in South Africa and they will want to know what South Africa has done. They will want to meet our seafarers. They will want to see our mariners. They will want to see our captains. “In actual fact they will also want to see those vessels that are flying the South African flag, which makes us a flag state. They will want to visit our ports which make us a port state. They will also want to see our seas as we are a maritime nation,” said Chikunga. The deputy minister called on young people to enter the maritime sector by becoming seafarers, by making the oceans their choice of vocation. SAMSA is currently implementing the Maritime Youth Development Program which was established to attract youth, and graduates to the maritime sector. The SA Agulhas, South Africa’s dedicated cadet training vessel on arrival in Port Elizabeth on Friday after a three months research and training expedition in the Indian and Antarctic oceans with 30 cadets on board. On 10 March 2017 in Port Elizabeth, South Africa’s only dedicated seafarer training vessel, the SA Agulhas docked back home after completing yet another ground-breaking research and training expedition along the Indian Ocean through to the Antarctic region, carrying on board a group of Indian scientists as well as about 30 South African cadets (23 deck and seven engine cadets) out to sea for the first time. Treated to a warm welcome by leaders and senior officials of a number of public and private sector organizations, among them the South African International Maritime Institute (SAIMI) responsible for the cadet training, the South African Maritime Safety Authority (SAMSA) responsible for the SA Agulhas, the National Skills Fund (NSF) a major financial sponsor of training, and various others; both the cadets and their trainers shared their wealth of experience of the expedition, almost all expressing excitement and willingness to persist with their seafarer education, training and skills development engagement. Here we present their raw views in multi-media format, first; a congratulatory statement to the cadets and trainers by SAMSA acting CEO, Mr Sobantu Tilayi. Five of 30 cadets on board the SA Agulhas during its 3-months research and training expedition from December 2016 to February 2017 were (From Left) Alistar Behrens, Pamela Mbangezeli, Azola Hempe, Asiphe Nongwanya and Qhawe Ngcobo. South Africa and Norway thought leaders club ideas towards envisaged development of a national maritime cluster for South Africa. Among them were senior government officials inclusive of the Department of Environmental Affairs – the lead State department on Operation Phakisa (Ocean Economy) – the Department of Trade and Industry and Department of Science and Technology; thought leaders from academic institutions including the Nelson Mandela Metropolitan University, researchers from independent institutions and industry leaders in the country’s maritime economic sector. Discussions at the forum took two forms; themed speeches and panel discussions interspersed by questions and answers from attendees. A week ago this blog highlighted some of the key issues raised and discussed, and in this report, we present you a virtual experience of the some of the issues discussed in audio and video formats. The presentation below takes the format of the seminar over the two days characterized by opening speeches and an outline of South Africa current position in its spirited endeavors to rejuvenate, transform and integrate the maritime economy into the mainstream of the country general economy. Following to this are randomly selected contributions by two or so Norwegian experts in development of maritime clusters in that country, followed by a contribution – frankly a speech by a notable leader in the country’s marine manufacturing subsector – Mr Prasheen Maharaj, and finally, a wrap up of the seminar from both a Norwegian and South African perspectives. FROM PEDDIE TO PORT GLOBAL! THE STORY OF ‘BUBBLES’ (THEMBELA BERYL TABOSHE) AND HOW SHE GOT ATOP AS ONE OF SOUTH AFRICA’S FIRST OF THREE BLACK FEMALE MASTER MARINERS in 2016! The formal qualification recently of South Africa’s first three black women as Master Mariners will remain a significant milestone and a beacon of current endeavors towards much needed transformation of the country’s maritime economic sector and its full integration into the general economy. A week ago in this blog, The 10th Province, we shared the story of the first of the Master Mariners, Captain Tshepo Motloutsi who was the first to qualify in March 2016. In this installment, the focus is on her colleague, friend and fellow Master Mariner, Captain Thembela Beryl Taboshe who qualified in April 2016. CRACKING PACE: Two of three of South Africa’s first batch of Black female Master Mariners to qualify in March and April 2016 respectively, Captain Thembela Tobashe (Left) and Captain Tshepo Motloutsi. The two are not only pioneers in the field of maritime transport but are currently colleagues as ship surveyors at SAMSA’s Durban Office. For Captain Thembela Taboshe, her arduous yet pioneering decade long journey into South Africa’s maritime economic history, by being among the first three black females to qualify as Master Mariners in 2016, could so easily have remained a pipe dream as did her momentary blind and ill-fated ambition to be the next Michael Jackson! By her own admission, her interest in things maritime was planted almost by accident during a random visit to a friend who worked for Transnet – the country’s ports authority – at the port of Port Elizabeth. Aged only 15 then, yet in her first final year of high school at one of Port Elizabeth lannie schools, Collegiate Girls High; the bright eyed girl, as she strolled carefree with her friend and schoolmate at the harbour, was suddenly taken up by the sight of an elderly fellow emerging from the port and who she says was “a neatly-dressed man in all white short, shirt and shoes!” Upon inquiry, she quickly learned he was a marine pilot. There is no word about whether or not the old man paid much, if any, attention to a set of starry-eyed teenagers, but Captain Taboshe did. Of course, it was not love at first sight, either with the pilot or his vessel, she insists! Evidently though, she’d taken enough note of both the vessel and its steering chamber, along with the pilot’s style of uniform to end up 13 years later as a Master Mariner – one among the first batch of three black females ever to do so. Indeed, while the chance meeting with the vessel pilot soon vanished in the thick white mist of oceans’ memory for a while, her own good looks would still figure quite prominently later in determining her prospective future career at sea. Captain Taboshe, now freshly 29 years old and a mother of one (a son) has qualified to take command of a vessel of any size in global waters as at April 2016 – on her second attempt at the oral exam in Cape Town. She was following closely on the footsteps of her fellow ship surveyor colleague and friend, Captain Tshepo Motloutsi, who qualified as a Master Mariner a month earlier, in March 2016. The qualification, one of the most advanced in global maritime transport and quite taxing in attainment, allows them command of vessels of any size. Captain Taboshe is excited that she’s finally made the grade, and made history in the process. “I did my first attempt in obtaining a Master’s ticket in Cape Town in 2014 and I was found not yet competent, so I thought I’d go back again, but after a long break I only returned for my next attempt in April 2016. Ms Taboshe (Top Middle) with some of her fellow female trainee cadets onboard the SA Agulhas II on their 2014 end of year trip to Antarctica. Far right is the Third Officer Delicia Soobramoney. Other than emulating former US singer, Michael Jackson…. The truth though is that Captain Taboshe, now appropriately finally called ‘Captain’ by all, including members of her family; could readily have ended up working at the deepest end of a ship, the engine room, as a mechanical engineer, than working on the most upper end of it, as the Master Mariner. Having passed her matric in 2003, on enrolment for the beginning of her tertiary level studies at the then Cape Technikon (now Cape Peninsula University of Technology) in Cape Town in 2004, based on the advice of family and friends, she’d decided to study towards a mechanical engineering degree. Except that the college’s maritime studies’ head of department at the time, a Professor E.D. Snyders would not hear of it. Ms Taboshe still in cadet training and seen here, preparing for an inclining experiment as a surveyor with Naval Architect, Mlungisi. In fact, apparently Dr Snyders thought the young student was simply ‘too pretty’ to be hidden in the engine room, and said as much! Indeed, and so began an exciting yet somewhat strenuous decade-long education and training journey in maritime transport for the Peddie (Eastern Cape) born girl, that would see her both storm a few classrooms as well traverse the seas from being a night-watchman at first, to becoming a deck cadet, to Chief Officer on private cargo vessels’ operator Safmarine and other vessels, leading to her Master Mariner exams that she eventually passed a month ago. Recalling highlights of the journey, and during which she earned herself a few character defining colours, Captain Taboshe says: “My first ship was the S.A. Helderberg which was one of four ships well known as “The Big Whites” and I joined at night. The Third Officer then took me around for familiarization and like most people I met, was taken aback by my ability to talk without expecting a response, so much that by the morning I’d earned myself the nickname “Bubbles”. Of course, being a self-declared ‘loud mouth’ called ‘Bubbles’, she’d have, she says; a few run-ins with some of the officers onboard the vessels, and some of whom simply would not be put up with it and so occasionally got their own back. At one point she was deemed “useless Safmarine cadet” she recalls, and recoils at the thought. “I’m a constant laugher, I laugh when I’m happy, sad, shocked, whenever, I just laugh because I’m the type that refuses to be sad,” she says. It would be a decade during which Captain Taboshe would not also eventually get engaged to be married to, yes; a marine officer ‘neatly dressed in white shirt, shorts and shoes’, but embark also on legal studies, precisely an LLB degree at the KwaZulu-Natal University, with the aim of becoming a law practitioner working for or closely with the International Maritime Organization (IMO). On being a history maker for becoming one among the first batch of black female Master Mariners in South Africa, Captain Taboshe is not boisterous about any of it. “It’s been a great journey and thankfully for me there have been other women in the industry that I have sailed with, or know in a personal capacity, who paved the way for me and were that dream and inspiration I look up to in pursuit of obtaining my licence,” she says. Now law is also in her sights! Captain Taboshe’s has been and continues to be a career well-choreographed, with much backing but especially from her fiancé who also has great passion for the maritime economic sector. Ms Taboshe, preparing here for one of her series of oral exams during her training towards becoming a Master Mariner. “My fiancé is also in the maritime industry. He had his fair share of sailing and he went as far as sailing as a Chief Officer’s before finally heeding towards what he really wanted to deal with, numbers. He’s more of a numbers person and is concentrating on the logistics and economics side of the business. “He understands my love for the sea and even though he doesn’t fully understand why it means so much to me, he’s very supportive and, even though he’s pursuing his studies towards his Masters in Maritime Economics, to name but one, he sacrifices a lot of his time so that I can attend the evening classes and put in some night work while studying for my orals. “It certainly is relieving and underemphasized how great it is to have someone who understand your drive and is fully supportive and even challenges you to be the best version of yourself, without him feeling neglected and emasculated,” she professes fondly. Captain Taboshe continues to serve as a ship surveyor in the employment of the South African Maritime Safety Authority (SAMSA) at its Durban region while keeping her steady gaze at the horizon. SAMSA recently declared its delight at her achievement with commitment to continue to assist her in career development. When she started, she literally had no idea what she was getting herself into, except that it had her name title written all over it! For most South African youth, a career choice at sea has until very recently been not an option, even as basic as a fisherman; and that’s barely hard to figure out why. South Africans, but particularly the majority of black people, have historically not viewed their global regional location as predominantly maritime in character, this despite the country being endowed not only with as much as 3000km of a coastline on which sits seven commercial and several dozens of small vessels ports, but also with access to three oceans (the Atlantic, Southern and Indian oceans) readily affording the country as much as 1.5-million km² of oceans space, otherwise known as an Exclusive Economic Zone, in which to work and play! An exclusive economic zone as designated by the UN Convention on the Law of the Sea generally is that part of the oceans in which a country has “sovereign rights for the purposes of exploring, exploiting, conversing and managing natural resources, whether living or non-living, of the seabed and subsoil and the superjacent water and with regard to the other activities for the economic exploitation and exploration of the zone, such as the production of energy from the water, currents and winds.” (Source: oceanservice.noaa.gov/facts/eez.html). Indeed, about 80% of South Africa’s global trade is carried through the oceans, ferried around by various types and sizes of vessels most people cared little to know anything about. And so it was that South Africa’s first black female to qualify as a Ship Captain or a Master Mariner in March 2016, by her own admission, flew in blindly, face first; into an oceans-based career involving sea transportation without so much as an inkling about what she was getting herself into. It also helped little that she was from South Africa’s most northern inland province, Limpopo where a sight of the sea is simply non-existent. Apparently, a young Tshepo Motloutsi (now 32) barely a teenager then at primary school at Lebowakgomo Township in Polokwane, only ever wanted two things in her future career: a professional title, and to travel the world. That was all! She could have been a vet, but for fear of animals! Of course. That was not before this youngest daughter of an Animal Health Technician – her father, Kgabane Motloutsi, and nursing mom, Kagiso; had toyed around with the idea of becoming a medical doctor or a veterinarian, only to soon realise she just had no stomach for animals, and also that the journey to becoming a medical doctor simply took too long! Years later, at some point while at tertiary level, she says, because of her initial poor Grade 12 maths and science marks, she’d also been persuaded a career change towards electrical engineering. But she stuck to her guns. Instead she upgraded the maths marks. “At the back of my mind I have always known that I wanted to have a title one day and not be addressed as a Miss or Mrs, but something that conveys my professional status” she reminisced recently. “My sister, Prudence Ramantswana, whom I stayed with at the time advised me to do more research on the (maritime) course and interview some people in the field to get a clearer picture of what I will be getting myself into. And now, she’s achieved that and more, in an oceans based career field that at one time seemed distant to being simply pointless for obscurity. As of March 2016, it came to pass that Captain Tshepo Motloutsi become South Africa’s first ever black female to qualify as a Master Mariner, a formidable feat she achieved, albeit, after sitting for her exams apparently for the fourth time – an aspect clearly reflective of her passion, commitment and tenacity. That she’d tried thrice before to sit and pass the exam in Cape Town also reflected on the long journey she’d travelled since embarking on maritime economic sector studies some 14 years ago – a decision she was helped with by her brother, John; she says. It all began in earnest in 2004 with her enrolment for a National Diploma at the Durban University of Technology (DUT) where she completed her S1 and S2 levels studies, followed in June 2005, midway through her S3 studies, by her first stint on board a ship after she’d secured a space as a deck cadet on one of Unicorn Shipping’s container vessels, the MV Sofala and later, the chemical tanker, Stolt Integrity until 2007. Recalled Captain Motloutsi: “In order to become a Deck Officer, one needs 12 moths sea service on board trading ships of 500GRT or more, engaged in unlimited voyages plus ancillary courses,” recounted Captain Motloutsi of her early journey into seamanship. She said: “After qualifying as a deck officer, I was employed by Stolt Tankers as a Deck Officer. I first sailed as a Deck Trainee Officer in June 2007 on board the Stolt Aquamarine to understudy the other officers and that counted as training towards my Chemical Tanker Endorsement. However, in 2010 Captain Motloutsi took a year off from sailing in order to complete her National Diploma in Maritime Studies at DUT and which goal she achieved with her graduation in April 2011. Following to this she returned her sight to her ocean transport career, got promoted to a 2nd Deck Officer, and while sailing, sat for her oral exams in December 2011 towards becoming a Chief Officer. “To qualify as a chief officer one needs 12 months sea service whilst holding the certificate of Deck Officer on board trading ships of 1600 GRT or more, engaged in unlimited voyages, plus ancillary courses and a ND in Maritime studies,” reflected Captain Motloutsi. Having successfully met her intermediate goals, in October 2013 Captain Motloutsi made a port call in Durban, disembarked from the vessel and joined SAMSA as a ship surveyor in February 2014. By then, she’d done her 36 months sea service on board trading ships of 1600 GRT or more, engaged on unlimited voyages, in addition to her National Diploma in Maritime studies as well as ancillary courses. Finally, with a name “title” in hand, her sights are now set for law of the seas! “The qualification itself is called Master Unlimited – a person qualified to be a captain on ships of a mass greater than 3000 GRT engaged on unlimited voyages – but the title given a person with such a qualification is Captain. So now I am no longer Miss Tshepo Motloutsi but I will be referred to as Captain Tshepo Motloutsi. According to SAMSA, Captain Motloutsi will remain with the organisation while her future is being worked out, obviously to put her in charge of her own trade vessel. Meanwhile, the now Durban based young skipper, still very much single; has plans of her own to advance her career even further. Her passions include reading books, watching movies and listening to music. SOUTH AFRICA’S MARITIME SECTOR RESEARCH COLLABORATION GATHERS SPEED! Verging on becoming the world’s Top 10 maritime nation soon, South Africa firms up its Oceans Research capabilities through enhanced collaboration. South Africa, situated on a land surface area spanning some 1.21-million square kilometres (km²), is the African continent’s only country with access to and control over sea waters covering three oceans, in an area equivalent 1.6-million km² and with a coastline of some 3924km – from the Atlantic Ocean in the west, the Southern Ocean, through to the Indian Ocean in the east. And now, currently with an application for expansion of the country’s Exclusive Economic Zone (the area of the surrounding oceans under the country’s direct control extending 370-km from shore) by between 900 000 km² and 1.87-million km², sitting before the United Nations, when approved, the country could be in command of an even bigger ocean area totaling approximately 3.47-million km² – making it one of the world’s top 10 largest maritime nations. In addition, South Africa’s geographic positioning at the southern tip of the African continent, lands to it being Africa’s only country with a foothold to the Antarctica region, advancing even more weight to significance of its maritime expanse and influence in global maritime affairs. Yet, as broadly acknowledged at SAMIC 2012 and indeed, in prior and subsequent industry or subsector imbizos and related, ocean space focused research in the country has historically been sparse and decidedly shallow and isolated, undertaken separately by different groups including mainly the State, education institutions and the private sector, in line with their peculiar interests and goals. This led to not only highly insufficient accumulated knowledge of the country’s maritime space, but also to generally prohibitive ocean research costs. For an example, as of last year; the running costs for a dedicated research vessel, such as the Department of Environmental Affairs’ administered SA Agulhas II, were said to approximate some R400 000 per day. Over a three to six months single annual research expedition, this easily runs to between R40-million and R90-million. Operation Phakisa: A decisive intervention. The launch of Operation Phakisa (Oceans Economy) in 2014 however, proved a critical positive intervention as it bolstered deliberately efforts for establishment and strengthening of strong collaborative links and relationships between public and private sector role-players operating in the country’s maritime sector, central to which was the desire to enhance facilitation of both expanded maritime economic sector research and education. The launch of the Operation Phakisa (Oceans Economy) initiative, coming fortuitously in the wake of a significant gradual increase in private sector investment in oil and gas exploration along the South African coastline, has since given rise to the set-up of the South African Marine Research and Exploration Forum (SAMREF). In line with this, based on documented discussions and agreements by stakeholders held in 2015 – among them, the South African Maritime Safety Authority (SAMSA) – SAMREF, designed to be a multi-sector forum, inclusive of public and private sectors, will be charged with, among others; the identification and responsible exploitation of opportunities provided by oil and gas exploration activities and platforms spread across the country’s coastline, and to gather important marine ecosystem data which would otherwise, ordinarily be difficult and excessively costly to obtain. In addition, the structure will take responsibility for facilitating new collaborative offshore studies to increase South Africa’s state of knowledge of the offshore marine environment, related to renewable energy potential, marine biodiversity and ecology, climate change and ecosystem functioning. The Department of Science and Technology, a significant and crucial role player, is among various role-players across sectors engaged since about a year ago with the bedding down, through operationalization, of the SAMREF initiative scheduled for formal launch this month (January 2016). Among critical steps taken in this regard so far has been the identification and establishment of a database of key stakeholders with active interest in and possible contribution to the initiative, but also crucially, the development of a “Research Catalogue & Gap Analysis Report” – the latter an outcome of a gathering held in the twilight period of 2015 in Cape Town. Published in December 2015, the report highlights areas of immediate research interests already expressed by the various parties across subsectors, that range from among others; impacts of ocean surveys on living creatures at sea, mapping of the oceans habitat, scientific data for navigation, to establishment of fisheries around ocean fixed infrastructure, investigation of migration in fish, cetaceans and sharks, and the determination of effects of energy generation tools such as wave turbines in the offshore environment and the ecosystem. Facilitative ocean research platforms said to be already available from the oil and gas exploration subsector and others include drilling vessels, support or supply vessels transporters, data acquisition vessels, ROVs, Met-Oceans buoys, sampling gliders and related. Collaboration being established through SAMREF is not limited to only the oil and gas industry however, but extends also to organized fishing subsector operators such as the Coalition of Legal Toothfish Operators, the South African Demersal Trawl Industry Association, as well as the South African Navy (Hydrographic Office) among others. With regards fishing for example, the Council for Scientific and Industrial Research (CSIR) views the possible collaborative use of robotics (wave gliders) in support of the fisheries’ ecosystem governance (a competence of the Department of Agriculture, Forestry and Fisheries (DAFF)) alongside the department’s monitoring vessels, as likely to be both highly cost effective as well as more productive in the generation of survey data more frequently than is currently the case. In a SAMREC workshop presentation last July, attributed to lead oceans researcher, Dr Pedro Monteira, according to the CSIR, deployment of approximately 1000 wave gliders, capable of offering “full border protection’, “full resources protection”, and “full Exclusive Economic Zone protection” would cost approximately R1,500-million – almost two thirds to about half of the cost of a ‘South African Valour class frigate’ at R2,400-milllon (2007) or a “One Type 2009/1400 submarines’ costing as much as R3,500-million (2006). The broad contention is that benefits are huge and widespread. Meanwhile, from the Department of Science and Technology’s perspective, these developments could equally not be more significant as should bolster its own (State) efforts linked to its ‘Marine and Antarctic Research Strategy,’ (MARS) currently under development. The former is reportedly aimed at developing a single comprehensive marine and coastal research agenda as part of the overarching MARS strategy; identifying and prioritizing mechanisms for optimizing marine and coastal research funding using existing instruments, and identifying areas of marine research that require new instruments. To this end, research themes in the category are closely aligned with South Africa’s ‘geographic advantage’ relative to the country’s Exclusive Economic Zone inclusive of the continental shelf area currently applied for at the UN. On the other hand, the ‘Antarctic & Southern Ocean’ (ASO) research aspect of MARS is said to concern itself with among others; enhancing development of a research agenda and outputs that yield appropriate and relevant knowledge, encouraging research that enhances South Africa’s capability to meet and discharge its responsibilities and meet obligations relating to the UN’s Antarctic Treaty System. 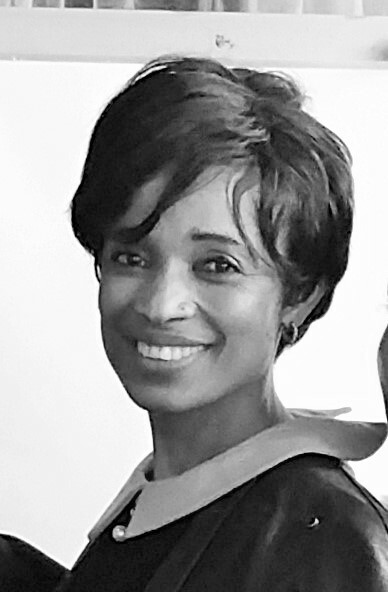 Precisely, from a human capital development perspective, the strategy is reportedly focused on among other things; recruitment and training of black students in broad Antarctic and marine research programmes, rendering of support for existing transformation programmes at historically disadvantaged institutions as well as development of a mentoring programme to provide support to young researchers. To ensure greater public awareness the Department of Science & Technology says it plans to up its public engagement with targeted communities through platforms that will facilitate information exchange on the importance of the maritime sector but specifically the importance of the Antarctica and the oceans, as well impacts of people’s activities on these areas. The two highlighted interventions above would dovetail neatly with SAMSA’s bold efforts also in the past few years towards enhancing both general public awareness about, and increased public direct participation in the broad development of South Africa’s maritime economic sector; primarily through education, training and skills development, but also through research and knowledge accumulation. Expanded and intense research collaboration involving multi stakeholder and multi sector players as now evidently being achieved would, from a SAMSA perspective, further bolster the role defined for the new South African International Maritime Institute (SAIMI) whose establishment in 2014, was itself a culmination of similar efforts by stakeholders in the country’s maritime economic sector. Use it or lose it: ANC’S Mkhonto weSizwe veterans urge South Africans to guard their maritime heritage! South Africa’s current drive for expanded general education, training and skills development in and about the maritime economic sector is an important step not only in terms of intentions to expand and transform the sector but also as an effort at redirecting South Africans towards an ocean economy that is actually central to their lives, and which they should be more hands on with. AVENTURA VETERANS: ANC MK veterans who recently t00k part in the first of a possible series of discussions on South Africa’s Maritime Heritage are (From Left) Fanele Mbali, 78; Rankabele Tloo Cholo, 89; and Zolile Nqose 91. That is the view of a select group of ANC Umkhonto Wesizwe (MK) veterans with a unique experience of having explored maritime resources for warfare during the decades-long struggle for the country’s liberation from apartheid rule and which ended in 1994. The group, Fanele Mbali, 78; Rankabele Tloo Cholo, 89; and Zolile Nqose 91; were part of a select unit of MK soldiers involved in attempts to infiltrate South Africa for military purposes in the early 70’s, using ocean bound vessels including a United Soviet Socialist Republics’ (USSR) owned ship known as the Aventura. 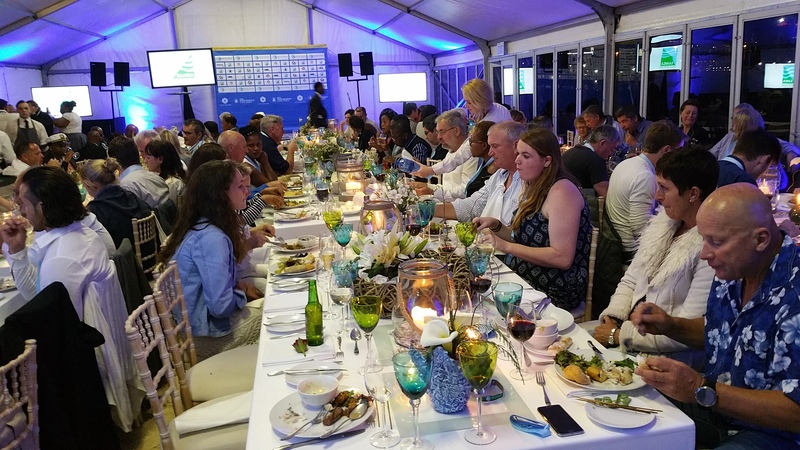 A week ago, the group shared their unique experiences with the country’s media during a Maritime Heritage Roundtable event held alongside the SA Ocean Festival hosted by the SA Maritime Safety Authority at the V&A Waterfront, in Cape Town. The roundtable discussions were held over two days on board the seafarers training vessel, the SA Agulhas. Themed: “Usage of Ships as Instruments of Liberation”, central to the roundtable discussions was how best South Africa’s maritime heritage could be reconstructed and preserved. Mbali from Hewu near Queenstown; Cholo from Matlala Ataba, in Limpopo and Nqose from Port Elizabeth, were unanimous in their firm views that expansion of maritime education was central to the goal, as was preservation of vessels with historical significance such as the SA Agulhas for its unique role as a dedicated vessel for the training of seafarers since 2012, and also the Aventura and similar such vessels – but whose whereabouts are currently unknown. SHARING EXPERIENCE: The three veterans, part of a group of five still alive today in South Africa, also shared their story of the aborted occupation of the USSR vessel, Aventura, which they’d commandeered towards South Africa for attack against the then apartheid regime. They were full of praises generally for the current efforts waged both by the SA Maritime Safety Authority (SAMSA) and its partners, yet felt more field work needed to be done to ensure that South Africans are better familiar with their maritime inheritance than ever before. SAMSA chief executive officer, Commander Tsietsi Mokhele concurred, adding that South Africa was bound to eventually lose control of the oceans around it, if it failed to fully raise the nation’s level of awareness about the importance of its maritime heritage and need for its active preservation. The next video in the series (Maritime Heritage Roundtable Part Two) soon to be posted here, dubbed: “The search for the Aventura” will focus on announced current efforts to try and locate the then USSR vessel called the Aventura used by Umkhonto Weziswe cadres in the early 70’s for an ill-fated attempt to infiltrate and conduct military attacks against the then apartheid regime and whose rule eventually ran aground in 1994. The launch this month of South Africa’s new Marine Tourism and Leisure strategy has brought to finality a strategy development phase that has been a while in the making, and more significantly, fairly comprehensive in its reach. Critically, it has brought to the fore what is hoped will be a new roadmap whose primary objectives wholly are to facilitate the broad, sustainable development, growth as well as integration of the maritime economic sector into the mainstream of the country’s economy. It is a strategy document developed against the backdrop where marine tourism and leisure was not institutionalised and the subsector consisted of pockets of uncoordinated activities. It also featured a limited implementation of cruise tourism study, an absence of development of inland waterways – a situation helped little by the fact that the country’s general tourism strategy failed to address marine tourism and leisure at all. In addition, the subsector had limited if any meaningful involvement of the previously disadvantage people, lacked a strategy of its own and frankly had no unique value offering. 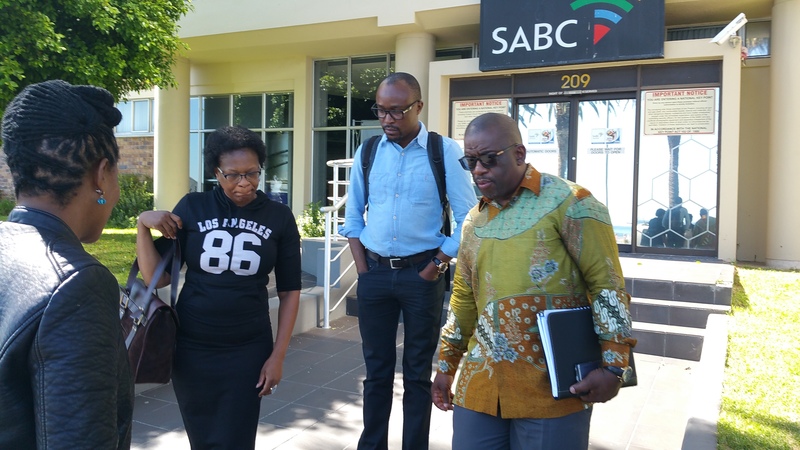 SA Maritime Safety Authority (SAMSA) CEO, Commander Tsietsi Mokhele (Right) with (From Left) Charity Bodiba, Centre for Maritime Excellence executive head assistant and Tebogo Ramatjie, Media Communication and Marketing head. Since then, carefully marshaled in its development by the SA Maritime Safety Authority (SAMSA), the new maritime economy marine tourism and leisure sub-sector strategy is due for unveiling in Cape Town at the end of October. 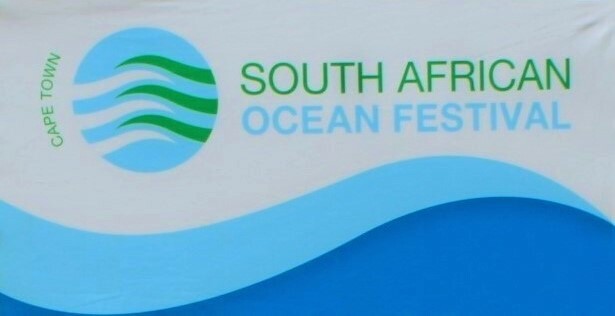 The unveiling – coming amid a huge storm of tourism industry protests currently against some recently promulgated regulations by Government deemed to negate growth of tourism in general – will be marked by the launch of South Africa’s inaugural national Ocean Festival at the V&A Waterfront – a planned annual event that itself is central to the new strategy. The strategy document covers five areas of the marine tourism and leisure subsector denoted as key; beach tourism, cruise tourism, harbours and ports as well as inland waterways encompassing the country’s major rivers, dams and related. 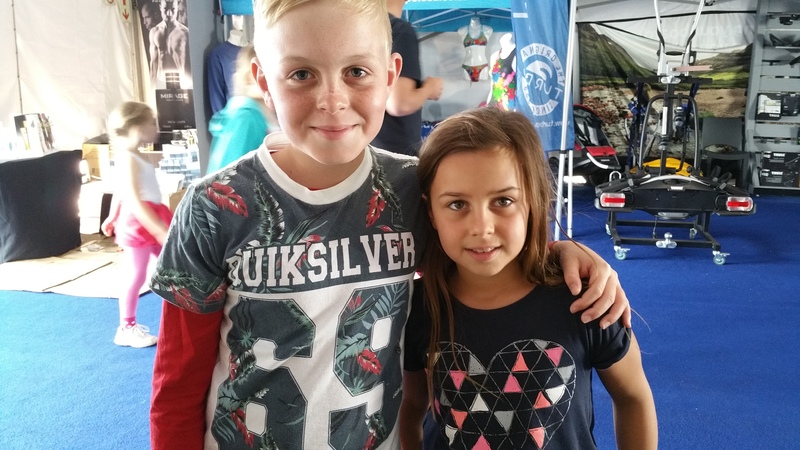 Some of the guests that attended the official launch of the national Ocean Festival at the V&A Waterfront in Cape Town on 30 October 2015 and during which event the country’s Marine Tourism and Leisure strategy was launched. This comes against a backdrop that globally; 14 of the 15 top international destinations are countries with coastlines. South Africa has about 3 000km of a coastline stretching from the Atlantic Ocean in the west, the Southern Oceans through to the Indian Ocean in the east, this in addition to waterways inland comprising several major rivers collectively covering more than 10 000km as well as big dams occupying a combined area estimated at over 141 969km3. Boldly, the marine tourism and leisure strategy envisages a phenomenal growth in foreign and local tourists of between 12.5-million and 18.1-million, and between 36.4-million and 61.6-million respectively by 2030, from a baseline of 9.6-million and 25.2-million respectively in 2013. 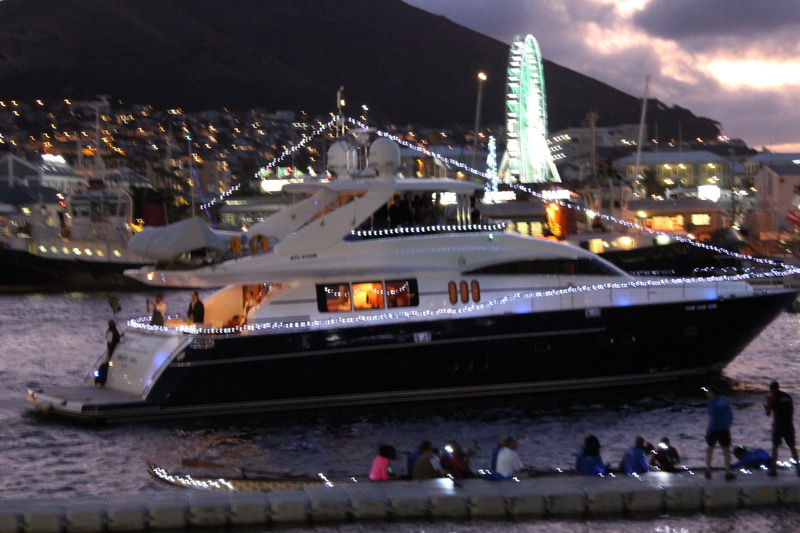 One of the more than 60 boats that participated in a fantastic ‘Lighted Boats’ parade at the V&A Waterfront during the three day launch of the SAMSA driven national Ocean Festival from October 30 to November 01, 2015. Key to realizing the vision would be the “provision of a wide range of world-class, visitor focused and vibrant marine experiences located throughout the country, with appeal to the diverse needs of increasing numbers of overseas, African and domestic visitors and local residents. Closely aligned to the above would be deliberate close partnerships between the public and private sectors, and interaction with all other communities; operating within an environment characterized by a set of enabling factors inclusive of facilitative regulations, sound institutional relations as well as infrastructure, availability of funding along with greater market access, but also skills and knowledge and ultimately investment into identified areas to make them tourism ready. Underpinning such partnerships would be a set of values that embody among others, inclusivity, collaboration, trust, responsibility, accountability, respect, service excellence, transformation, adaptability as well as a base approach that encapsulates and reflects a ‘uniquely South African flavor’. According to SAMSA’s Centre for Maritime Excellence, development of the strategy began three years ago and involved from the onset a wide range of stakeholders from the public and private sectors and from which a panel of experts, chaired by former National Planning Commission member, Dr Bridgette Gasa, was established. Among those directly represented on the panel were; the Marine Industry Association of South Africa (MIASA), the North West Tourism and Parks Board, the International Ocean Institute Southern Africa, the Wildlife and Environmental Society of South Africa, the South African Local Government Association, the South African Heritage Resources Agency, the Nelson Mandela Metropolitan University’s Department of Tourism, the Tourism KwaZulu-Natal, Fair Trade Tourism, Tourism Enterprise Promotion, the South African Sports Confederation and Olympic Committees, the National Heritage Council, SAMSA and Worldsport. 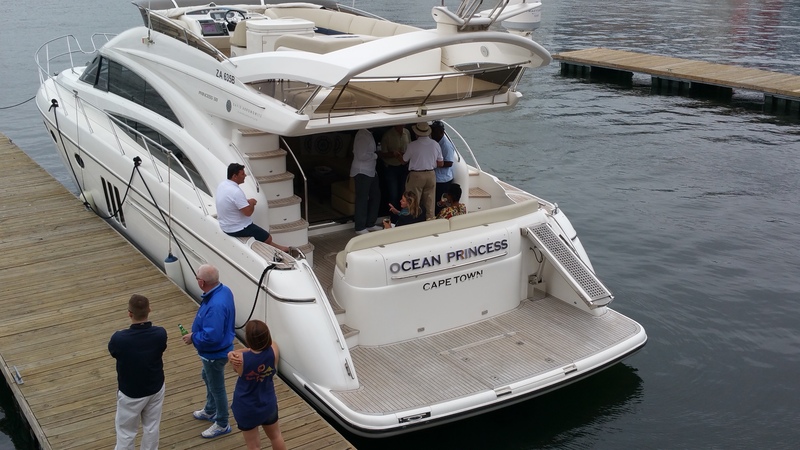 Some top executives in the maritime, marine and sports sector enjoying themselves in one of a number of luxury boats in the precinct of the Ocean Festival at the V&A Waterfront in Cape Town. The development process involved research and review of existing policy, strategy and regulations, as well as data on South Africa tourism in general, a profiling of both coastal and inland regions, followed by direct contact and interaction with a wide range of stakeholders and interested parties inclusive of the SAMSA security cluster, Water Affairs Department, Canoeing South Africa, Marine Industry Association of South Africa, SA Sports Anglers & Casting Confederation, and the Blue Flag Association among others. Surveys of tour operators were then also conducted, a SWOT analysis done and after which range of activities the panel sat again to craft the strategy document. Explaining the rationale for a marine tourism and leisure strategy, crafters of the strategy state in the document that the subsector is among areas of the national economy identified as having a great potential for growth by the National Development Plan. The subsector’s growth would also contribute to unlocking the country’s ocean economy as envisaged under Operation Phakisa, and in addition; the subsector complements the country’s national tourism sector strategy in its recognition of the country’s underdeveloped and underutilized coastal and inland water resources. KEEPING CHILL: Some revelers at the national Ocean Festival found it all fun and game to dip in iced water measured at 0.05 degrees Celcius. “Tourism, as an industry sector, has the potential to create economic growth and create jobs. South Africa has extensive inland and coastal marine resources that can be developed to attract tourists. Many of these assets are located in rural or marginalized areas with high levels of unemployment. “By combining the opportunities presented by South Africa’s underutilized marine assets with an (tourism) industry sector that is known to stimulate economic growth and create jobs, we can assist in reducing poverty levels in South Africa and further assist in the transformation of the sector,’ say the strategy developers. 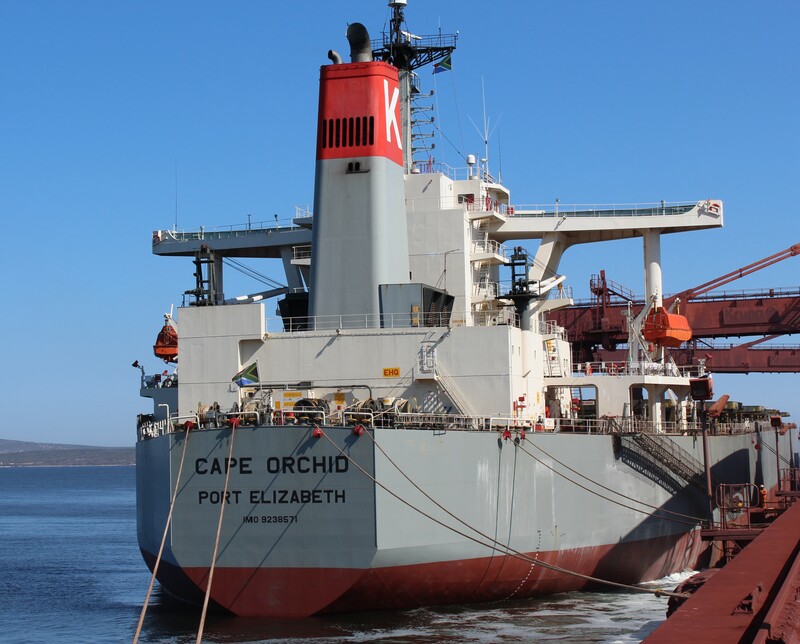 The Cape Orchid, a commercial cargo vessel owned by Vuka Marine became South Africa’s first registered vessel under the country’s flag in September 2015 – the first such registration in 30 years. The official historical registration of two commercial cargo vessels under the South African flag in the last two months has been billed as a major turnaround for the country’s maritime economic sector, but specifically sea transport and economic benefits deriving from it. The two registered vessels, the Cape Orchid and Cape Enterprise both belong to newly established Cape Town based Vuka Marine, a joint venture operation between Via Maritime Holdings (South Africa) and Hong Kong based Japanese firm, K-Line. 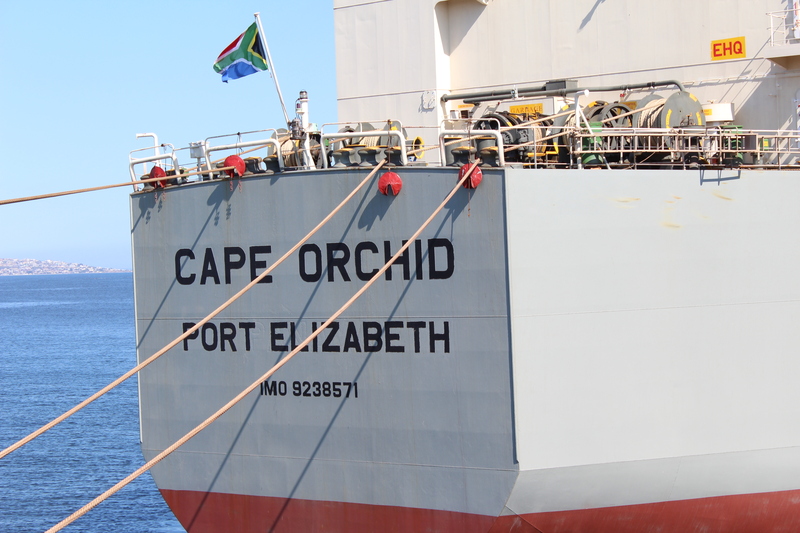 The vessels’ registration in August and September 2015 respectively under the South African flag marked a historical milestone as they were the first to be entered into the country’s ship registry since about 30 years ago. Undoubtedly, in terms of the historical development’s economic value chain beneficiaries, the first direct recipient has been the country’s National Cadet Programme (NCP) which has been slowly but surely building up kettle steam in a grind for a few years now. The NCP was initially launched as a three-year pilot, subsidized by government to provide quality training and enable cadets to receive seagoing training on board participating international merchant vessels. The NCP provides a structured training programme for candidates to obtain their sea-time through agreements with foreign and local shipping companies, enabling them to secure internationally recognized qualifications. The programme consists of three elements: seaborne practical training of S2 graduates; conversion of unemployed mechanical engineers to maritime; and four months of training through the dedicated training vessel, the SA Agulhas. Management of the programme has since inception in 2011 been carried out by the SA Maritime Safety Authority (SAMSA) with support from a number of partners including the National Skills Fund and later the transport SETA; and the Transport Education and Training Authority (TETA). Now the national government seafarers’ skills development programme is facing a possible shift towards the ambit of the recently established SA International Maritime Institute (SAIMI) based in Port Elizabeth, and with that transfer, the assumption of the financial responsibilities attaching. Financial responsibilities attaching could possibly include maintenance and general upkeep of the country’s seafarer training vessel, the SA Agulhas; which has over the last three years been pivotal to the rapid development of an expanding cadre of seafarers for South Africa since entering the maritime economic sector education, training and skills development terrain in 2012, following its acquisition and management by SAMSA from the Department of Environmental Affairs (DEA). 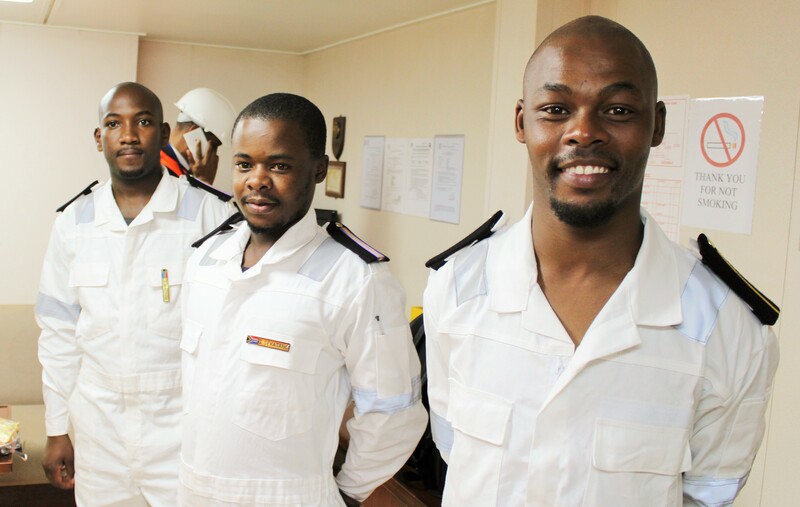 Three South African youths who recently boarded the country’s registered vessel carrying the SA flag, the Cape Orchid and who will remain with it for hands on sea based training for six months, are (from Left) Samkelo Ndongeni (25) a deck cadet from Ngqushwa near King Williams Town, Eastern Cape; Gordon Sekatang (26), an engine cadet from Nelspruit in Mpumalanga and Thembani Mazingi (24) also an engine cadet from Cofimvaba, Eastern Cape. 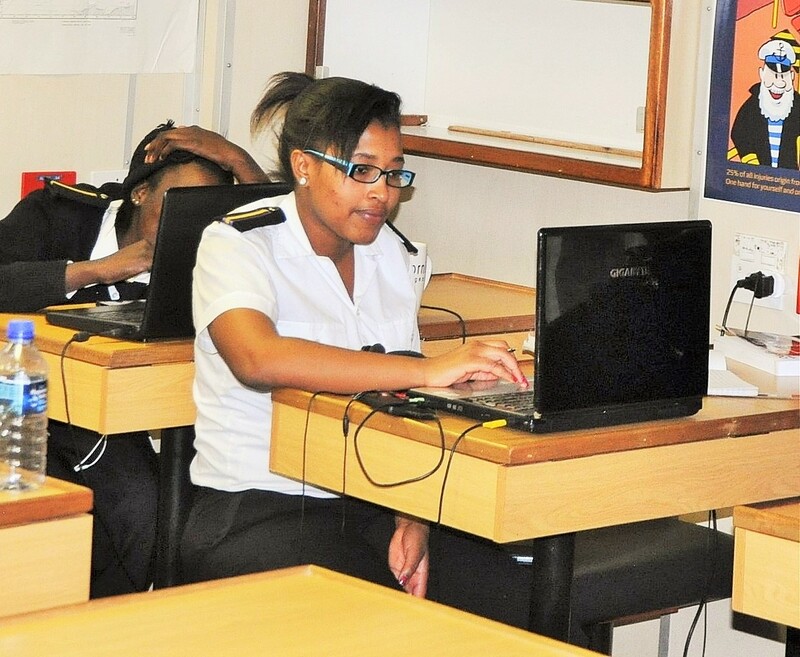 Launched in 2011, the national cadet programme has seen about R185-million invested in it, enabling the country the successful training of, among others, some 562 sailing graduates, about 22% of whom were women and a majority of whom are now placed largely on private sector shipping operators in South Africa and abroad. Currently, there are about 23 more cadets undergoing training on the SA Agulhas, inclusive of some of unemployed mechanical and electrical engineering graduates on a conversion course to marine engineering. Critically at launch, the national cadet programme – an outcome of a 2011 Maritime Skills Development Study conducted jointly by SAMSA and strategic partners including the Department of Higher Education and Training (DHET) and the Department of Transport (DoT) and followed by a Maritime Skills Summit in Durban which in turn led to adoption of a Maritime Skills Development Programme (MSDP) – sought to address the virtual absence of skilled seafarers in South Africa, this despite more than three quarters of the country’s multi-billion rand worth international trade being conducted via the oceans. Based on the study, it was established that a global shortage of seafarers was as high as 60 000, exacerbated by an increasingly aging maritime workforce. On its own account, South Africa needed at least 720 of the officers per annum. Subsequent to the adoption of the MSDP, the Marine Transport and Manufacturing (MTM) lab of Operation Pakisa (Oceans Economy) in 2014 set an ambitious vision to increase the sector’s contribution to GDP by R14- to 23-billion, and create 40-50 000 jobs in the five years to 2019. However, the grand plan remained hamstrung and almost dead in the water against the backdrop of inadequate artisan and professional skills, and specifically a lack of workplace-based and occupation-specific practical training. In terms of seafarers alone (apart from artisan, trades, professional and other skills required), the MTM lab identified the skills gap as 17 500 to 28 500 seafarers required to support implementation of the plans to grow South Africa’s participation in ship and oil rig repair and refurbishment, boat-building and other vessel construction, sea and coastal transport, and development of a national registry. This was against the backdrop that South Africa as at 2014, produced an average 240 officers per year, a clear indicator that the universities of technology currently training officer cadets needed speedily to increase their capacity and throughput, and alongside which should be creation of additional capacity in other institutions, inclusive of TVET colleges to train ratings. But crucially, a further requirement was the need for training berths for these students to acquire the necessary sea-time to complete their qualifications. According to SAMSA, maritime training of seafarers includes theoretical training obtainable from two South African universities currently, the Cape Town based Cape Peninsula University of Technology (CPUT) and KwaZulu-Natal’s Durban University of Technology (DUT). “The theoretical training (S2 qualification in Maritime Studies) is followed by the experiential training or cadetship at sea, on board an appropriate vessel. Cadetship is measured in terms of the time spent at sea, on board and actual vessel, along with functions carried out while doing sea time. “Currently,’ says SAMSA; “an S2 theoretical qualification plus twelve months sea-time are the minimum requirements for consideration for the minimum navigational qualification (Class 3 certificate of competency). Prior to SAMSA entering the fray and acquiring the SA Agulhas from the DEA in 2012, cadet training in South Africa in the absence of locally registered commercial trade vessels, suffered a chronic shortage of training berths to enable nautical college students to obtain the required experiential training at sea (“sea-time”), a critical training they sorely needed in order to obtain the necessary qualification and certification. With the two universities, DUT and CPUT continuing to churn out S2 level students, this lack of berths and associated training created a bottleneck in the skilling process and prevented students from qualifying. According to SAMSA, by 2011 the lack of on-the-job training facilities for the students in seagoing careers, primarily in navigation and engineering, from DUT and CPUT, had become so severe that the universities were faced with having to terminate their programmes. Indeed, the problem actually adversely impacted SAMSA’s own role and capability as a safety authority in the maritime sector, as it literally meant a tough battle to secure qualified surveyors for its Maritime Safety Programme. But SAMSA’s own vision as deriving from statutory provisions, was broader than its selfish needs. The SA Augulhas docked at the Cape Town harbour in August. “This state of affairs significantly hampered two of the main objectives of SAMSA derived from the South African Maritime Safety Authority Act, No 5 of 1998, which makes reference to the release of the full potential of the maritime industry in South Africa, the modernization of the country’s shipping administration, and assisting in the creation and fostering of an economic environment for the maritime transport industry, which will allow it to compete on at least an equal basis with the maritime carriers of other nations and South African land-based carriers,’ says SAMSA. From the organization’s perspective, with the NCP now firmly entrenched, a major positive spinoff and which has set a solid foundation, has been the increasing development of strong partnerships by players in both the public and private sectors, but especially among maritime economy stakeholders and interested parties. According to SAMSA, over the last three years agreements were signed with participating companies to provide training berths on a “no cost to company basis” and in terms of which the companies have a right to employ cadets once qualified, but with no obligation to do so. “Before joining international fleets, cadets are placed on the Dedicated Training Vessel for a four-month programme in which they are taught seamanship and safety culture, best practice, discipline and work ethics, practical application of theory learnt at college, and combine experience and research to complete assignments and gain practical ship maintenance experience. As at September 2015, says SAMSA; some 14 shipping companies were enrolled in the project, with their level of support ranging from accepting a few cadets as part of corporate social responsibility commitments; to taking more than 51 cadets – the latter type of company intending to increase reliance on South Africans for their manning needs. Currently there are 124 on board these vessels. This situation is now expected to improve even further with the historical registration of South African flagged commercial cargo. Speculation is high that 17 more such commercial vessels are targeted for registration by 2019. Effectively, this would be a restoration of a maritime skills development regime, albeit exclusively male and white; that existed in the country for about four decades from 1946 until about the late 90’s after the country’s largest vessel owning company, South African Marine Corporation Limited (Safmarine) sold its entire fleet of an estimated 80 vessels to foreign shipping companies. The country’s aim now, according to Minister of Transport, Dipuo Peters, is to again build up the stock level of vessels registered in the country through encouragement of private sector acquisitions, and with that facilitate solid partnerships to firmly entrench and sustain country and continental seafarer training at a grander scale. “One of the key things that we need to do is to ensure that we have more ships flying the South African flag,” said Ms Peters recently in Saldanha, Western Cape; citing President Jacob Zuma in relation to the launch of Operation Phakisa (Ocean Economy) a year ago. The SA Agulhas: South Africa’s midwife for historic national seafarers’ training. If there is a sea going vessel in South Africa currently that does more than its fair share of sailing, it is the SA Agulhas vessel moored almost unceremoniously on Quay 500 at the Cape Town harbor. Not that in its gait – even almost majestic at a length of 112-meters – nor the outlook of its surroundings; had any vile secret to share under a surprising sunny and tranquil late winter day in August 2015, at the other end of a week of weather-induced turmoil that hit the area, characterized by skin puncturing winds (called the “Cape Doctor” in the local lingo) and which wreaked havoc across the province days earlier. Some major roads linking the Mother City to the rest of the brethren had had to be closed for hours after the “Cape Doctor” flipped and tossed like a toy 16-wheeler fully laden trucks off the road, while the rest of the surface lay strewn with all sorts of debris. Back at the SA Agulhas at Quay 500, the sense of tranquility she oozed on the day of our visit seemed to attest to her comfortable, settled, familiarity with the Mountain View. Table Mountain dominates the view over the Cape Town harbor at all times, even to truly majestic and simple looking vessels alike, such as the SA Agulhas. Built by Japanese Mitsubishi Heavy Industries Ltd for the Department of Environmental Affairs as far back as 1977, and now decidedly a dedicated midwife to South Africa Government’s strategy to national sea cadets education, training and skills development for the country’s maritime economic sector, she is barely without poise no composure as she quietly sails slowly into the Cape Town harbor to dock for a few hours, days or months, while nursing patiently and with motherly care; one or another group of starry eyed would be future sailors from across the country who one day, it is envisaged; will command some of the world’s most advanced cargo ships, for South Africa or another country in the world. The entire exercise matters to South Africa as it does to the rest of world, as more than three quarters of the country’s goods for trade are moved through oceans, with small and humongous vessels, in their thousands, crisscrossing the three oceans that surrounds the tip of the African continent on a daily basis. Depending on the nature of their cargo and its destination, some call in at one of the country’s seven developed harbours either to offload and load, or simply replenish supplies for the long journeys across the world’s oceans. As at 2013 about 12,000 vessels on average per annum docked at South African ports manned by as many as 240,000 seafarers and between them responsible for almost 300 mega tons of freight valued at billions of rand. Meanwhile, the SA Agulhas, power-driven by two 6-cylinder Mirrlees-Blackstone diesel engines with a range of 15 000 miles, a little wrinkled, yet with little if any grey hairs to pronounce on advanced age, and with no longer concerns for taxing cargo ferry to anywhere, seems at easy with just rocking the coastline at the Cape Town harbor, a stone’s throw from a picturesque and ambassadorial landmark, the Victoria & Alfred Waterfront which most if not all tourists to South Africa never leave the Cape without visiting, even for only a meal. Late last month, persuaded by a gentle breeze flowing hazily westwards of the Atlantic Ocean, the SA Agulhas rocked ever so gently from side to side, and then forwards and backwards, almost unnoticeable even against the buoys at the dock, nestling within it a group of SA Maritime Safety Authority (SAMSA) sponsored student sailors – or cadets in the colloquial – young men and women from across South Africa, mostly black, who hope one day to be masters of their universe on the oceans. 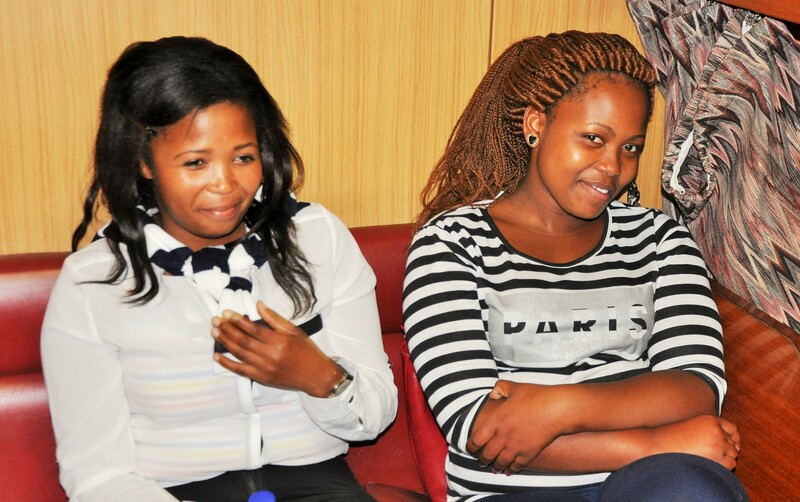 FEMALE CADETS: (From Left )Apiwe Zozi and Busiswa Majamane. Among them were young women from the hinterland of the Eastern Cape, KwaZulu-Natal and Western Cape: Phumeza Bambiso, Apiwe Zozi and Busiswa Majamane. On the day, they looked relaxed and definitely proud to be among pioneers in the long and tedious introduction phase of black South Africans to able management of increasingly highly technical and sophisticated sea going cargo vessels mastery, in the name of global business and trade. The SA Agulhas is in the command of SAMSA since 2012, acquired from the Department of Environmental Affairs and informed by an urgently expressed need for a SA owned vessel to afford and dedicate its time to the training of cadets to assist in the development and growth of the country’s maritime economic sector. The then and current narrative giving much impetus to the drive to educate, train and skill as many South African able seamen (inclusive of women) as is possible under the National Cadetship Programme, is partly that; of the 240 000 plus sailors manning cargo vessels frequenting the country’s sea ports, only a handful – less than 2000 – are South African, this due in part also to the fact that for more than 30 years as at July 2015, there was not a single cargo vessel registered under the South African flag, translating to zero opportunity for local sailors to learn and earn ocean time that’s critical to their ability to sail, never mind earn any money at all! The SA Agulhas, formerly a polar research and supply vessel, came into place to fill that gap by allowing cadets access to an able vessel that would earn them the skills critical to their qualification as seafarers of different skills, expertise and rank. According to SAMSA, South Africa has capacity to produce a minimum of 150 cadets per annum. At launch in 2012, which involved a voyage to London and later to the Antarctic in an expedition, the vessel had 62 cadets onboard, a figure that soon rose to 79. In 2015, according to SAMSA’s Centre for Maritime Excellence, a total of more than 500 cadets had since been given berths on the dedicated training vessel. Educational institutions currently with a functional relationship with SAMSA’s Centre for Maritime Excellence, among them the foundational level Lawhill Maritime Centre in Simonstown, the Cape Peninsula University of Technology (CPUT), the Durban University of Technology (DUT) and some public and private sector dedicated maritime sector skills development institutions, suitably feed into the chain that renders the SA Agulhas vessel a worthwhile investment. 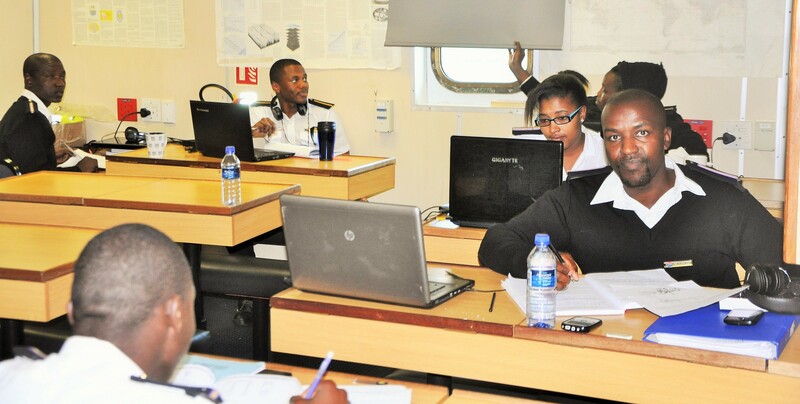 Actual training of cadets aboard the ship is conducted through a partnership between SAMSA and Western Cape based South African Maritime Training Academy (“SAMTRA”). But the SA Agulhas not only serves South Africa for training purposes, but is open to the rest of the African continent as according to SAMSA, there is currently no trading vessel its size that has been used as a training vessel anywhere in the world. As such, at launch in 2012, it became the world’s first such vessel to be dedicated solely to sailor training. On progress achieved to date, according to SAMSA’s Centre for Maritime Excellence, a backlog of awaiting S2 students that had accumulated over years has been wiped off. The centre says there are no longer any S2s who sit for a lengthy period awaiting a berth for their practical sea training. In addition, there is now gender parity in the output of the country’s cadets; with a huge transformational element as most of the cadets are rural previously disadvantaged candidates, says the Centre. According to Ms Sindiswa Nhlumayo, executive head of SAMSA’s Centre for Maritime Excellence, acquisition of the vessel and its conversion into a training ship was an inspired initiative. “From the day of the launch, the vessel has elevated the profile of the maritime sector and the careers it offers. Over the last 18 months, she has participated in two National Maritime Careers Expos in Durban, attracting well over 6000 high school learners, higher learning students and unemployed youth per event. “She has made much publicised stop-overs in West Africa on her way to London, hosting a number of school going children and Regional Maritime University students in Ghana and Cote d ’Voire. In West Africa she added 12 more cadets from five African countries to the 40 initial cadets from South Africa. In London she became the centrepiece in showcasing the South African Cadetship Programme and soliciting international shipping lines to employ South African seafarers. “The publicity of the vessel continued to follow it on its voyage London to Cape Town and onward to the Antarctica. She has played, and continues to play a pivotal role in awareness needed in getting the South African and African continental maritime agenda on the map,” says Ms Nhlumayo. The vessel’s record shows also that there have been other positive spin offs in the form of job creation through improved employability of previously unemployed mechanical engineering graduates who had been converted to marine engineers. Currently, says Ms Nhlumayo, there are 93 conversion cadets on board out of 400 applications received; denoting that the conversion programme still needs to continue for some time in the future until the issue of employability of mechanical engineers is addressed. Ms Nhlumayo adds that officers produced by the programme have gone to on and obtained employment on international commercial vessels where they earn hard foreign currency, tax-free and most of which earnings are repatriated back into South Africa to support families. However, it is also a matter of great pride at the Centre for Maritime Excellence that the presence of the vessel also allowed for promoting maritime careers for women, a campaign that received much positive energy after the first ever all-female crew voyage on board the SA Agulhas, from Cape Town to Durban, was successfully completed. Ms Nhlumayo states that prior to these events, the situation was even harder for Black students – especially Black females; as shipping lines continue to this day to show reluctance in taking females into seafarer careers. “The benefits of acquiring the SA Agulhas have been immense, not just for SAMSA but for South Africa. This created an opportunity to showcase South Africa’s graduation to the maritime elite of the world as South Africa became the first country with a dedicated maritime training vessel with a capacity to both conduct international trade (through charter) as well as provide room for 140 people, of which 120 are cadets. The SA Maritime Safety Authority (SAMSA) emblem is perched boldly and high up alongside the South African flag on the vessel. “This has catapulted South Africa to a status of a serious international maritime country and entrenched the faith of the global maritime companies in South African seafarers and enhanced their placement in various international and domestic employment opportunities,” says Ms Nhlumayo. However, utilisation of the vessel for cadet training has by no means been a complete breeze, especially from a financial perspective. It has been and continues to be a costly exercise requiring constant focus. 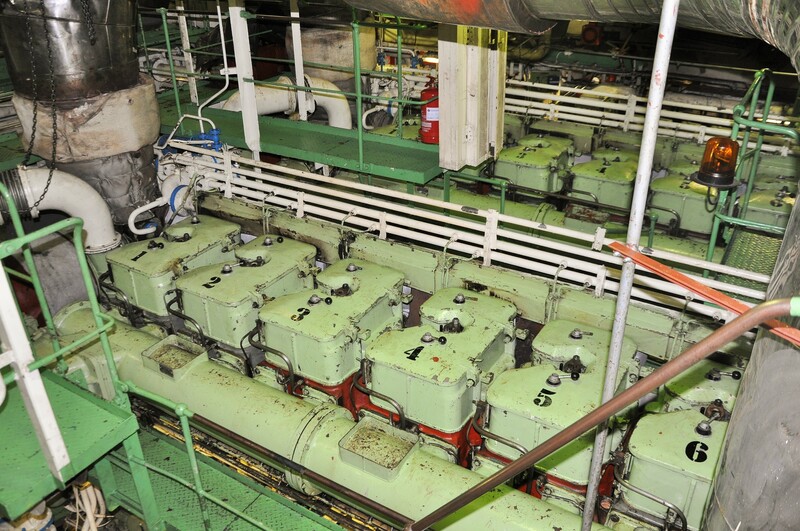 In 2012, the average annual costs of keeping the vessel running were estimated at about R53-million per annum and which have since rose substantially. The high costs were hoped to be offset generally by the vessel’s regular chartering to research and expedition groups as well as by financial assistance from a variety of State and private sector sponsors keen on maritime sector education, training and skills development. She concedes that the plan has had its challenges. “The present interim operational structure and model not only does it not support the developmental objectives of the vessel for a holistic human resource and skills development in the maritime sector, but is costly and does not have adequate funding strategies to sustain it,” she says. Without delving into the intricacies of the challenging situation, Ms Nhlumayo readily points out there are currently various options being considered – all of which take into consideration the fact that SAMSA is a facilitative entity within the sphere of the development and growth of the country’s maritime economic sector, but especially with interventions on critical aspects key to unlocking such development and expansion, for example education, training and skills development. She indicates that in addition to reconfiguring for effective cost management and revenue generation, both the management structure of the vessel as well as its effective utilization to include expanded commercial use, the founding a year ago of the SA International Maritime Institute (SAIMI) based at the Nelson Mandela Metropolitan University in Port Elizabeth, Eastern Cape, has increased opportunity for creative management of available resources for maritime economic sector education, training and skills development. The SA Agulhas, still with about five years or so of life left in it at current projections, would not be misplaced for ownership transfer to the new maritime sector education focused institution. From the perspective, it becomes clear that the vessel has some travel to make still, no matter how choppy the seas that give rise to its rhythmic heave may be sometimes.